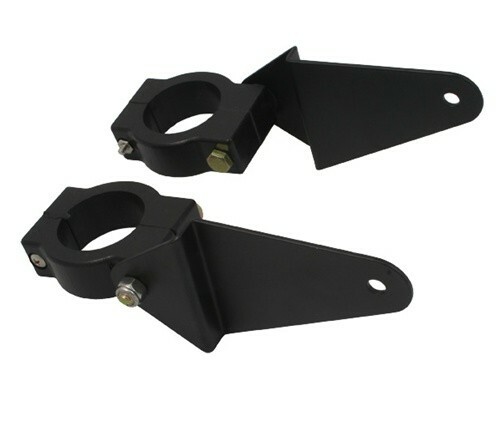 - High strength plastic along with high quality black power coated (2) solid aluminum triangle brackets. -120mm long side arms (Center to center mounting holes) complete with fork clamps assemblies. (Please double check the measurement on your tubes, some tubes taper in and out or are upsidedown tubes, check the diameter of the tubes at the point you would install the clamps. Be the first to submit a review on this product!